There are different levels of the CSCS cards and color coded in line used in the cards to know the past qualifications and current situation of the person. If someone has no experience and qualifications in the formal construction, then the person would apply for the green site operative cscs card. If you are the worker who wants to register for the NVQ, then red trainee CSCS card is issued to you. Red experienced worker CSCS card is best for the time served candidate. 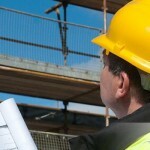 The CSCS cards are issued according to the achievements and capabilities of the person. Blue skilled worker CSCS card is hold by the person who clears the second level of the NCQ. 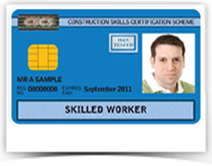 The constructions helpline can give you all the details about the CSCS card and on how you can apply for this card. They provide you study material, which helps you in clear the exam with confidence.